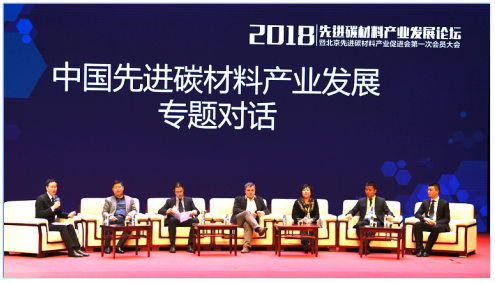 On November 27th, at the first anniversary of the official completion of the new materials industry base & the Expert Committee of Beijing Graphene Industry Innovation Center, 2018 Beijing-Tianjin-Hebei Graphene International Summit, the Showcase for Beijing Graphene Industry Innovation Center’s Achievements, and the Marketing Session for the Innovative Model Developed by Fangshan, Beijing for Developing the New Material Industry, which was co-sponsored by CIGIU, Beijing Association for the Promotion of Advanced Carbon Material Industry, Peking University Entrepreneurship Camp, SINOPEC Beijing YanShan Company and the Managing Committee of Beijing Petrochemical New Material Industry Base, was successfully held in Fangshan. 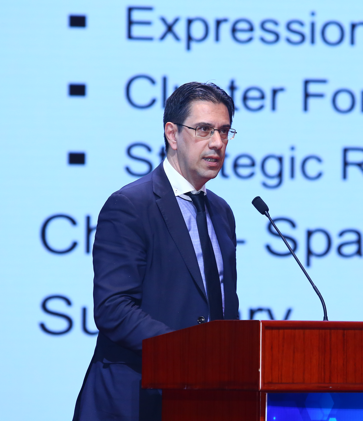 With the theme of “summary, innovation and development”, the conference, featuring “high-end, realistic and effective”, gathered experts and scholars, leading entrepreneurs, industry elites, and government leaders at home and abroad to seek common development in the future. More than 700 guests including the top experts and scholars in graphene field, responsible people of key application companies and relevant institutions, gathered together to discuss with each other, and express their ideas, which provided strong support to the innovative development of new materials industry in Fangshan District and the construction of high-precision structure. Konstantin Novoselov, 2010 Nobel Laureate in Physics, Fellow of the Royal Academy of Sciences, Chief Technical Officer of the National Graphene Research Institute, professor at the University of Manchester; Liu Zhongfan, Academician of Chinese Academy of Sciences, professor at Peking University, Vice Chairman of Beijing Municipal Political Consultative Conference; Antonio Correia, Chairman of the European Graphene Conference and other domestic and foreign experts attended the conference to share the latest development trend and ideas in their respective fields, and delivered wonderful keynote speeches. This conference is a comprehensive collection of high-end wisdom of the new materials industry represented by graphene in the world. The guests and representatives jointly examined the status and future of the industry from a strategic perspective. 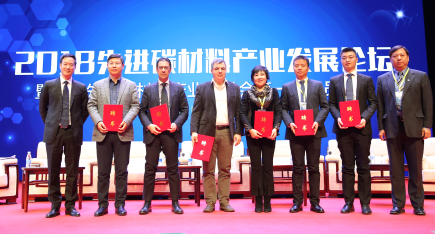 The conference received strong support from the Expert Advisory Committee of National New Materials Industry Development, Beijing Municipal Bureau of Economy and Information Technology, and the Municipal Commission of Science and Technology. As an important event in graphene and new materials, leaders and experts from relevant departments and institutions also attended the conference. Lv Guixin, Deputy Inspector of the Raw Materials Department, the Ministry of Industry and Information Technology; Jiang Guangzhi, Deputy Inspector of Beijing Municipal Bureau of Economy and Information Technology, Wang Lan, assistant to the Director, Tong Haiwei, Director of the Science and Technology Standard Department; Guo Yanhong, Deputy Secretary and Chief of Fangshan District; Liu Bing, Vice Chief of Fangshan District; Li Gang, Deputy General-Manager of SINOPEC Beijing YanShan Company, Liu Hang, Deputy Inspector of Zhongguancun Management Committee, and Ruan Ruxiang, Permanent Vice Chairman of CIGIU, attended the conference and delivered wonderful speeches. The conference was rich in content with forward-looking theme and professional speakers. 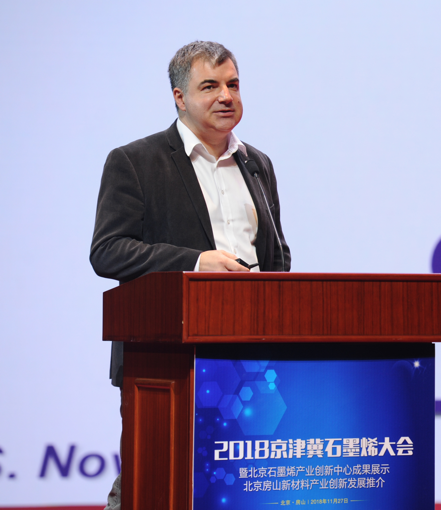 It was a collision of high-end wisdom, which would play an important role in promoting the development of new materials industry represented by graphene. 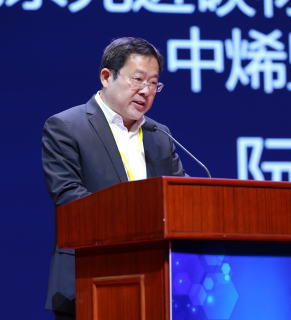 During the conference, the Graphene Seed Enterprise Incubation Accelerator of Beijing Graphene Industry Innovation Center, Beijing Association for the Promotion of Advanced Carbon Materials Industry, Tencent Cloud Beijing Petrochemical New Materials Technology Industry Cloud Base were unveiled. The First Session of “Yanshan Cup” New Materials Innovation and Entrepreneurship Competition, which was co-sponsored by Beijing Petrochemical New Material Industry Base, Peking University Entrepreneurship Camp and CIGIU, attracted and docked a wide range of more than 1000 projects. Among them, about 300 new materials industry projects participated in the competition. After more than three months of preliminary, semi-final and final selections, the results were announced. At the conference, Meng Fanxing, Vice Chairman of Beijing Science and Technology Association, awarded the gold medal to Nantong Julong New Material Technology Co., Ltd., Technology Leadership Award to Beijing Yanhua Jilian Optoelectronic Technology Co., Ltd., Business Model Award to Beijing Haichuan Jincheng Technology Co., Ltd., Investment Value Award to Carbon Energy Technology (Beijing) Co., Ltd.
Xu Zongjun, Deputy Director of Beijing Municipal Investment Promotion Bureau, awarded gold medal of the “5th China International New Materials Expo”, to Zhao Lei, Chairman of Beijing 800 Million Time and Space LCD Technology Co., Ltd.; Hu Shengwei, Executive Director and General Manager of Beijing Yanshan Petrochemical High-Tech Co., Ltd. and Zhang Yanpeng, General-Manager of Beijing Pufan Protection Technology Co., Ltd.
Tao Zhenhua, Vice Chairman of CIGIU, Chairman of Beijing Kewyo Century New Materials Technology Development Co., Ltd.; Du Jinquan, Director of the Managing Committee of Beijing Petrochemical New Material Industry Base; Wang Xudong, Executive Dean of Beijing Institute of Graphene Technology and Qi Zhaoqun, General-Manager of Beijing Jingyan Odyssey Chemistry Co., Ltd. signed "The Agreement on Graphite Industry Development Framework" and "The Intention of Cooperation on Graphene Seed Enterprise Incubation Accelerator"; Song Airu, Director of Fangshan Investment Promotion Bureau; Yu Bei, General-Manager of Haichuang Operation Team signed The Agreement on Haichuang Talent (Beijing • Fangshan) International Innovation Center Project; Zhu Biqiang, Director of Yanshan Commission of Economy and Information Technology; Guo Haozhe, President of Donghua Cloud Computing Co., Ltd. and Qing Xuehui, General-Manager of Strategic Cooperation of Tencent Cloud Computing Company, signed The Agreement on“Smart City” Construction Strategic Partners and Project. Through the showcase of platform construction and the transformation of achievements made by nationwide joint construction industry since the establishment of Beijing Graphene Industry Innovation Center, the Conference on the Expert Committee of Beijing Graphene Industry Innovation Center, The General Assembly of Beijing Association for the Promotion of Advanced Carbon Materials Industry, the Symposium on the Co-Construction of National Graphene Manufacturing Innovation Center and New Materials Innovation and Entrepreneurship Competition, several activities such as interactive exchanges with famous experts and scholars in international advanced carbon materials field, visiting and inspections, etc. were carried out, which extensively promoted technological innovation and the advantages of new materials industry in Fangshan District, Beijing, fully demonstrated the development advantages and cooperation opportunities of Fangshan District, introduced innovative development resources, and established a good frontier new materials industry communication platform and mechanism for long-term cooperation. 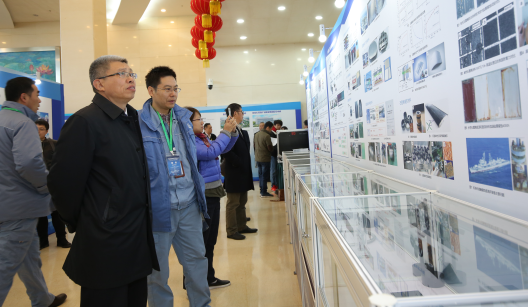 It laid a good foundation and focus on creating an upgraded version of “Double Creation” to enhance the capability of technological innovation and the vitality of industrial development in Fangshan District. With the implementation of the new round of Southern Development Action Plan, the innovation and development of Fangshan New Materials Industry would meet a great opportunity. The conference was hosted by Li Guangming, Vice Secretary of Yanshan Working Committee, Director of the Office and Yu Yong, member of Yanshan Working Committee and Director of the Propaganda Department. Then Liu Bing, Deputy Chief of Fangshan District, and Fan Yongyong, member of Yanshan Working Committee and Deputy Director of the Office, made a wonderful introduction to the development of Fangshan District and Yanshan respectively. Guo Yanhong, the Chief of Fangshan District, delivered an opening speech to the conference and stressed that "the spirit of the 19th National Congress of the Communist Party of China has made important arrangements for the construction of a modernized economic system, which pointed out the direction for the implementation of industrial transformation and upgrading of strategic actions in Fangshan District in the new era. It was hoped that the experts would bring the latest achievements of new materials and the ideas for development based on the industrial advantages of Fangshan District to jointly promote the innovation and development of new materials, and provide strong support for the construction of high-precision structures. Led by the new materials industry represented by the development of graphene, Beijing-Tianjin-Hebei Graphene Conference, which was jointly established by all parties, was gradually accelerating the industrial transformation and upgrading of Fangshan District, accelerating the coordinated development of new materials industry, gathering innovative resources and realizing the technological connection between enterprises, promoting the transformation of achievements, improving the service system of the innovation center, consolidating the development pattern of “main innovation in Beijing, main platform in Beijing-Tianjin-Hebei, and the national network”to make it become an important communication platform for breakthroughs in China's graphene and new materials industries. Facing the new situation and new requirements of economic development, Fangshan District keeps pace with the times, conscientiously studies and implements the spirit of the 19th National Congress of the Communist Party of China, and that of General Secretary Xi Jinping, firmly grasps great opportunities such as the coordinated development of Beijing and Tianjin, the implementation of Beijing's urban master plan, and launch of a new round of southern action plan, actively transforming the mode of economic development, intensifying innovation, accelerating the pace of industrial restructuring, transformation and upgrading, and positioning the “four centers” of the capital, closely focuses on "three major battles", does a good job of "three major events", regarding party building as the soul, ecology as the foundation, transformation as the main, rectification as the first, innovation as the source, benefiting people as the bases, comprehensively accelerating the construction of “one district, one city” New Fangshan, taking a new step in the transformation and high-quality development of the whole district, and gradually develops a road of transformation and development that is in line with the actual situation of Fangshan District. During the conference, Beijing Municipal Bureau of Economy and Information Technology invited more than 20 representatives of several provincial graphene industry innovation centers from Beijing, Jiangsu, Zhejiang, Guangdong, Chongqing, Sichuan, Inner Mongolia to attend the closed-door conference and discuss on the construction of National Graphene Manufacturing Innovation Center and the promotion of the development and industrialization of key common technologies in the graphene industry. Liu Zhongfan, academician of the Chinese Academy of Sciences and the professor at Peking University, put forward the idea of “one body, two wings and many leaves” and the “mission sense, responsibility, overall consciousness and foresight consciousness”, which received deep recognition and positive response by the representatives. Tong Haiwei, Director of the Science and Technology Standard Department, Beijing Municipal Bereau of Economy and Information Technology, presided over the conference and commissioned Beijing Graphene Institute, Beijing Institute of Graphene Technology and Beijing Association for the Promotion of Advanced Carbon Materials Industry set up a special working team to actively promote follow-up work and implement the formation plan as soon as possible. On that day, Beijing Association for the Promotion of Advanced Carbon Materials Industry held its first general meeting. It is an industrial association approved by Beijing Municipal Bureau of Civil and Political Affairs with the support of the Beijing Municipal Bureau of Economy and Information Technology, and jointly established by Beijing Petrochemical New Material Industry Base and SINOPEC Beijing YanShan Company. 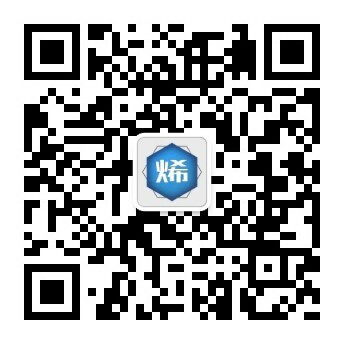 It will focus on the functional orientation of Beijing Science and Technology Innovation Center, actively promote the construction of the National Graphene Manufacturing Innovation Center, and create a first-class cooperation platform of international technology and industrialization for all members with global vision and international resources. 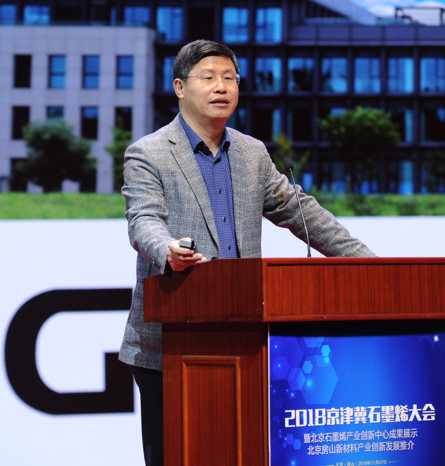 In face of the great demand of innovation and development of strategic emerging industry in China for advanced new materials, Fangshan District will make concerted efforts to upgrade Beijing Graphene Industry Innovation Center to a National Graphene Manufacturing Innovation Center, and strive to build the world's highest level of graphene composites technology research and development base.